Okay, so… Back when I used to cut myself, before I knew what a keloid was, I had cut pretty deep on my arm and it got infected. When it healed over, it formed a keloid. I thought it was just a really bad scar. It hasn’t completely healed, even though that was over two years ago. It’s still raised and it’s light pink. I have a few more on my hips, and they’ve formed into keloids. They’re really purple and look pretty bad. I want them to heal before the summer so I can wear a bathing suit without anyone seeing them. But the one on my arm isn’t even gone. Is there something I can do to get rid of them? Maybe some kind of cream? I tried scar cream on my older one and it didn’t do a thing. Is there some special kind of cream to get rid of these? Or am I just going to wait until it heals itself? Keloiding is a genetic trait where your body creates very large ‘cauliflower’ looking lumps of scar tissue as it heals a wound. If your scars are just purple or raised, this does not mean keloiding. To remove keloids, they should be cut and stitched by a doctor. You can reduce the appearance of scars at home by massaging pure vitamin E oil twice a day into the area. It will soften the tissue, increase blood supply and teach it to go back flat again. You should also be able to see a doctor to get steroid injections, dermabrasion or laser treatments also. I’m getting a tree cut on my right above my hip. I am thinking of doing an ink rubbing with UV ink. How well would this work? UV Pigment is notoriously difficult to get in solidly as far as tattooing is concerned; so with an ink rubbing I’d expect that it wouldn’t look spectacular. Also, keep in mind that despite the promises made by people trying to sell UV pigment, there is no conclusive proof that it’s safe for human use, so please be careful. Potential health side effects vs. a gimmick modification. Think about it. Scarification with a tattoo gun? Hi…I am wanting to get a scarification of a simple vine and leaves from the top of my shoulder, across my back, and over my hip. I have never had any other body mods done, and the reason I want to do this one is because I have other scars and stretch marks on my body that I don’t like, and I want a scar that I can think of as beautiful, so I can work on accepting my other ones. I’ve been thinking about this for a long time. I wanted a tattoo at first, but I realized I don’t want ink, I just want my own skin. My question is this: I have heard of scars being done with a tattoo gun, but I can’t seem to find any other information about it. What would I need to do to ensure that it would actually scar, since you usually treat a tat so it -won’t- scar? Is the whole idea even worth it, or would I have better results with just regular cutting? I had thought about skin removal, but I don’t think I could handle that just yet. Any other information on this would be great. I don’t want keliods, I just want a visible scar. Thanks in advance! A cutting will give you far better results. Tattoo machine scarification can be attained by several means; dulling or kinging the needles, using an irritant as ink, adjusting the needle depth and machine tunings as well as others but with the quality of cutting being done today, it seems like a crude method of obtaining the results I imagine you desire. The safest way to achieve this is with a urethral stint. The stint is basically a hollow tube with a textured outside that your bladders sphincter will grab onto and not be able to close around. I am one of those people who gets piercings and tattoos to releave stress, but recently money has been tight, and I have been unable to get to a decent piercing parlor. I am too afraid of the negative consequences of piercing myself, and i have turned to cutting. although this may sound more destructive, in reality, my cuts are shallow, harmless, and nearly painless. I do it for the calming adrenaline rush, not for suicidal reasons, and it has done me a world of good. my problem is that although the crowd here on BME is tolerant and understanding, my immediate family and friends… arnt. I am afraid that if (or when) they see the scars, they will assume the worst, that I am suicidal and unstable. basically I was wondering if anyone has dealt with a similar situation, and what the outcome was. There is a variety of things I could get into about cutting/self-harm etc. etc. However, I’m not here to lecture anyone about their choices, unless the things they are doing are clearly putting themselves in danger. Then, I’m happy to lecture. This could very well give you the adrenaline rush and the stress-relief you seek, without leaving too many noticeable marks (although, be aware that bruising can occur with play piercing). I know that money is part of the reason you’ve turned to cutting, and I realize that play piercing needles aren’t free. However, you might be able to save a bit of money and invest in a box of play piercing needles that could last you quite a while. 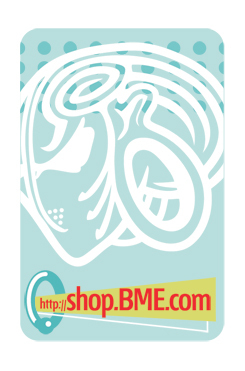 There are a variety of sources for play piercing needles, but BME Shop is of course a great option. The comment forum is available for anyone who wants to give a more direct answer to the question that was asked. About a year ago I got a scarification in between my shoulder blades. It was a fairly fine design and it healed too well and too quickly. I didn’t get any keloid. I’m just curious if it’s even possible to cut wider and deeper around the scar that’s already there (in essence, cut out the scar tissue that is there) in hopes that a wider deeper cut will create the desired keloid. It’s very likely that you can have the piece reworked. You’ll want to find someone with an “above average” skill-set as far as scarification goes- so do your research and find someone at the top of the game.